We are busy preparing for the holiday season! Our office halls are decked and lined with gifts for the families we serve and we have dreams of sugar plums every night. To close out 2018, we are bringing back HandUp’s 12 Days of Giving! Starting on December 12th we will feature a different HandUp cause each day to help you connect to meaningful ways to give back this season of giving. Look out for daily emails starting on December 12th with a link to our special 12 Days of Giving Landing page. You can also follow us on Facebook, Twitter and our blog for updates through December 23rd. Cooking for friends and family is his love — but helping others is his passion. Meet Max Glick, South Oakland Shelter’s new Director of HandUp. An alumnus of Western Michigan University and the University of Michigan School of Social Work, Max came to HandUp and SOS from the Jewish Federation of Greater Ann Arbor, where he was Associate Campaign Director. Currently residing in Ann Arbor, the metro Detroit native is excited to return to the area. The move will bring him closer to family, especially his two-year-old twin nephews, Jack and Henry. Although new to HandUp, Glick certainly is no stranger to the housing challenges many face. He’s worked with many people across the state dealing with housing insecurity. With a Bachelor’s degree in public policy and communications and a Master’s in social work, Glick’s career path has been driven by an altruistic mission. Glick has big plans for HandUp. The goal, he says, is to build on the platform’s success (nearly $3 million has been raised since it launched in 2013) and extend its reach far and wide. “It’s amazing what’s been done so far and to see what the potential of it could be,” says Glick, who’d like to have HandUp grow its nationwide presence and become a household name. But before that happens, Glick plans to reach out to HandUp’s partner organizations for their feedback. 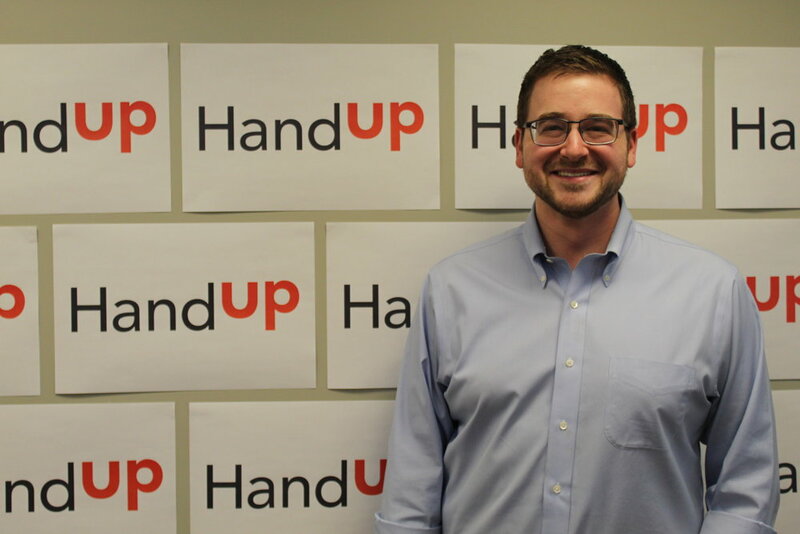 Understanding the user experience and developing best practices, he says, are crucial to HandUp’s future growth. To learn more about HandUp and to find a way to support those in need, please visit www.HandUp.org. A proud grandfather unable to find work because he cannot afford to get his driver’s license. A pregnant mother of three who needs to pay off old debt to get housing before her baby is due. A loving father, experiencing homelessness, seeking to rebuild his life and become the dad he never had. End Homelessness in the Motor City campaign kicking off today at www.handup.org/campaigns/motorcity. And the collaborative — comprised of nine nonprofits in Detroit and Oakland County — needs your help to make that happen. With a fundraising goal of $15,000, the month-long effort is seeking to raise money to meet the critical needs of metro Detroit’s homeless — expenses that aren’t covered by existing resources. “Our 2017 campaign removed hurdles for over 60 families who moved from homeless to housed.” says Abby Adair, HandUp Detroit coordinator. For people seeking assistance through HandUp Detroit, a little help can make a huge difference. That was the case for Milan, a mother of four in Detroit who needed $500 to pay mounting utility costs after she was injured in a car accident and no longer able to work her two catering jobs. But thanks to HandUp Detroit’s crowd-funding site, donors answered her plea for help. With one more hurdle out of the way, Milan can focus on building a brighter future for her family. 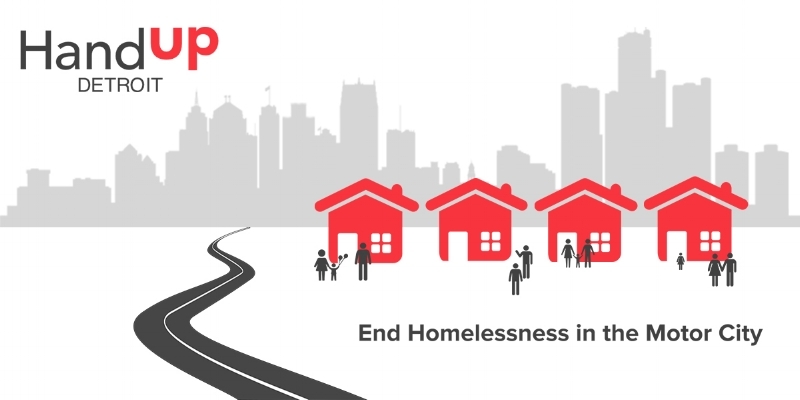 You, too, can make a life-changing difference through HandUp Detroit’s campaign to End Homelessness in the Motor City. To donate, go to https://handup.org/campaigns/motorcity. The campaign ends March 31, so don’t delay … do a world of good with your dollars today! HandUp Detroit is the first collaborative of its kind in the region and includes four agencies from Detroit and five from Oakland County: Central City Integrated Health (CCIH), COTS (Coalition on Temporary Shelter), Community & Home Supports, Community Housing Network, Mariners Inn, Neighborhood Legal Services Michigan, Neighborhood Service Organization (NSO), South Oakland Shelter, and Travelers Aid Society of Metro Detroit (TASMD). South Oakland Shelter (SOS) is probably quite a bit like the homeless service organizations you may be familiar with in your own community. We were founded in the mid-80s by a few local churches—a grassroots response to the lack of resources available to assist our neighbors living on the street. Over 30+ years, we have evolved into an increasingly complex non-profit organization, balancing a variety of stakeholder interests and approaches to addressing what should be a relatively straightforward problem. Government agencies, professionalized family and corporate foundations, congregations of various faiths, volunteers, donors, local businesses, residents, academic institutions, other service providers, and more all have varying reasons for working with us, and differing priorities and approaches in how they do so. In 2014, our staff leadership envisioned a tool to put our clients’ own needs back at the center of our efforts, empowering them to tell their own stories and have a higher degree of self-determination in their journey towards stability and a decent quality of life. We wanted to develop a platform that would allow our supporters to identify specific gaps that our current grants, contracts, and referrals were not addressing in order to unlock a brighter future for people who so often are offered only disparate pieces of what they need. We reached out to a couple foundations in our community with a concept for an online crowdfunding tool, and in our efforts to put together a proposal, we accidentally stumbled upon HandUp. Rose, Sammie, and their colleagues were in the early stages of implementing the very tool we had imagined, and they had invested considerable time, talent, and venture capital in building one far more capable than anything a grassroots non-profit like ours could have produced. And so, we jumped on board their initiative with great enthusiasm. Two years later, we realized that fundraising on HandUp meant a lot more than just the monetary figure achieved. HandUp was concurrently making our other services more effective, as our complicated web of restricted funding sources was finally beginning to untangle. It occurred to us that many more in our community could be helped with HandUp, but we did not have the capacity to make it happen alone. We sought grants to launch the HandUp Detroit collaborative that would leverage this resource across our metropolitan area. More agencies on the platform meant more client profiles, and more client profiles meant a more enriching donor experience, leading to more resources for the people we all serve. We recruited ten partner agencies serving a similar population, but over a broader geography. When we started fundraising together for all of our clients’ needs instead of each of our agencies’ operations, we dissolved the competitive dynamic that had so often dominated our relationships with one another. 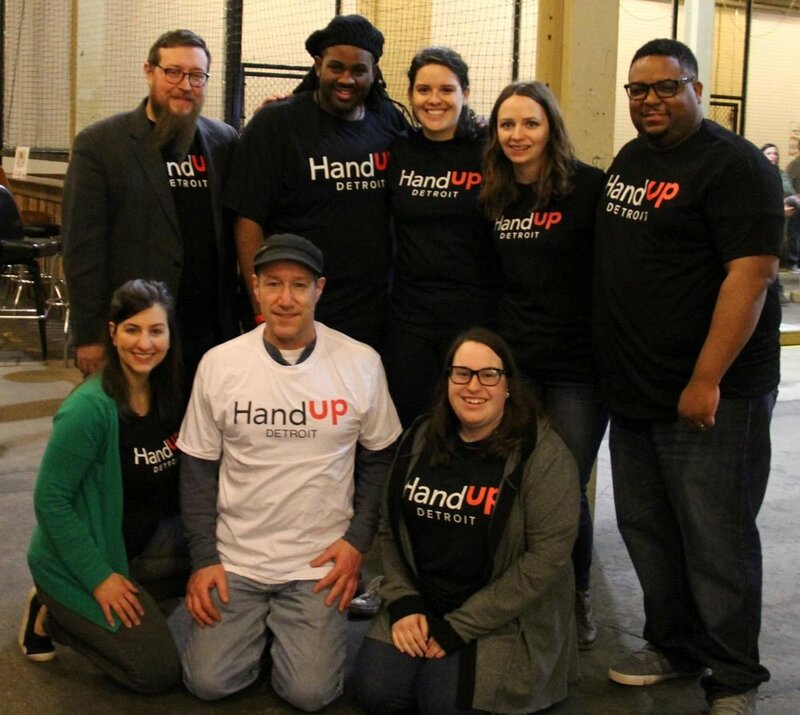 As we were discovering that HandUp was transforming the way we could all work together in our community to address poverty, and the potential for other communities to do the same, Rose and Sammie were beginning to realize that the HandUp model was unsustainable as a for-profit service. While this was initially a hard pill to swallow, we were thrilled when HandUp approached SOS to steward their social enterprise into its future as a strictly philanthropic venture. Of course, we had many of the same questions that you probably do. Can a human service agency successfully operate a thriving web-platform? Will attempting to do so distract us from our core services? Can we really bring this product to its fullest potential? We found that the answer to most of our questions was within our very reason for considering the opportunity in the first place: we are not fundamentally interested in solving technological problems, we are working to innovate our sector’s response to poverty by unabashedly putting our clients and mission at the forefront, even above the perceived needs of our own agency. 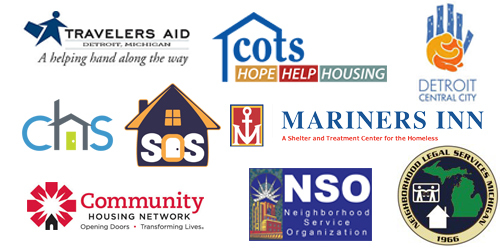 To homeless service agencies like ours, we invite you to join us in this effort. We know it is scary. We know you are regularly assessing the technological needs of your organization and that HandUp does not and will not meet all of those needs. Of course, we were nervous when we started marketing specific client needs to our donors that we might be left without badly needed unrestricted gifts to underwrite our operations (spoiler alert: the opposite happened). We took the leap anyway; because it is our mandate to prioritize the needs of our clients, and it turns out that our donors agree with us. To us, HandUp is much more than a platform, it is a movement. We hope that like-minded agencies and their donors in cities and communities across the U.S. will stand with us. We are thrilled to have the opportunity to support all of your efforts.